Accessible yet authentic Mexican appetizers and drinks from the chefs and owners of the popular East Village/West Village La Palapa restaurants. 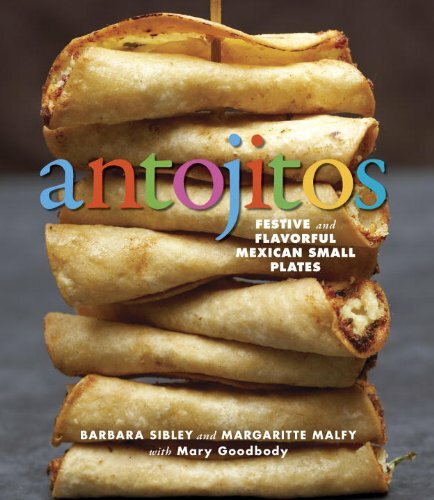 The only Mexican appetizers/small plates book on the market. Small plates and spicy foods remain popular food trends according to the American Culinary Federation's 2008 survey of chefs. The north-of-the-border love affair with Mexican food heats up with this luscious collection of 75 authentic Mexican appetizers and drinks from two of Greenwich Village's favorite restaurateurs. Readers will be inspired to craft crunchy, cheesy Chalupas, succulent Shrimp Cerviche, ruby-red Hibiscus Margaritas, and more. Sidebars on Mexican cooking and entertaining, suggested menus for party themes form cumpleaños (birthdays) to Cinco de Mayo, and a stylish design filled with colorful Mexican folk art and food photographs round out this spicy treat of a book.